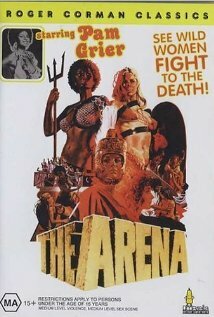 Buy or Rent The Arena (1974) Movie DVD & BluRay Online! Movie Plot: Two thousand years ago the people of Rome are so blase so used to violence that entertaining them becomes a political problem. Someone suggests after a hectic girl fight in a kitchen between a Nubian and a Viking slave as a joke that they should fight in the arena instead of male gladiators.